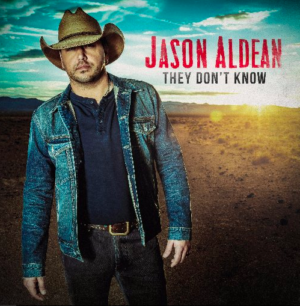 It’s another solid single from Jason Aldean. This song has been out for awhile already. Some artists put out music at just a few places for the first few weeks and months. I’m cool with that, but it doesn’t allow me to listen as much as I might. But I get it. The way we listen to music today is more fragmented and spread out than ever before. There are multiple streaming services. My preference is Spotify. It seems like everybody has their preference and not many can afford to have more than one or two channels. Jason Aldean has his choices for channels and that’s cool. This one is finally on Spotify so we’re going to share it here on CML. It’s another good one from one of country’s current superstars. This song is already in the top 15 on the country airplay chart. I think it’s going to for sure head into the top three. I don’t know if it will make it all the way to the top spot. It certainly could. It’s a good one. It fits right in with the kind of song that Jason has done well with over his career. The theme of the song is that summertime came to an end for this guy. That meant that he had to say goodbye to the girl that he met over the summer. So it’s kind of fitting for this one to be climbing to its peak on the chart just as we’re getting into the end of the hot weather here in the US. A solid song from Jason Aldean.